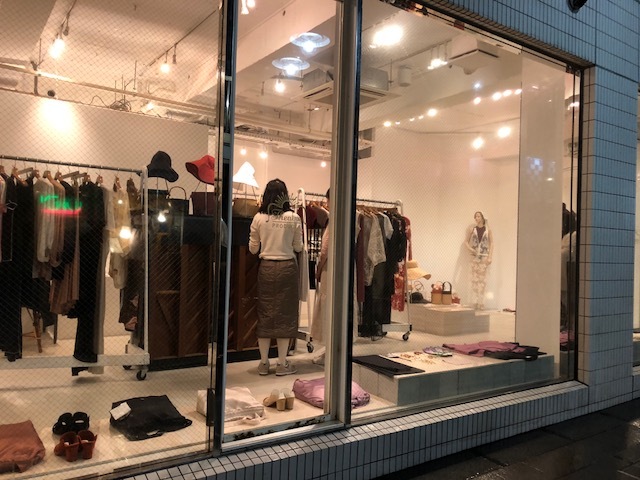 #4-Go shopping in Harajuku off the beaten path. Along the streets there are big branded stores. The magic happens when you turn down ally ways. You will discover very cute boutiques. I discovered these ally ways at the end of my stay with a tired teenager. When I return to Tokyo I will spend the day getting lost in these streets. Overall me and my daughter didn't buy all that much. Actually I didn't buy anything for myself. Everything I wanted to buy was cheaper in the US. Except this cool brand Gaufrait I found. We were starving and I was too tired to try on clothes. Being the stylist that I am I took a picture of the label so I could find it. Only to find that this brand Gaufrait is made and sold in Japan and doesn't have a store nor does it list locations on wear to buy in Tokyo. Not remembering which mall it was in... I missed out. If you have any Tokyo suggestions, haller at me. Japan is magical and I want to go back!